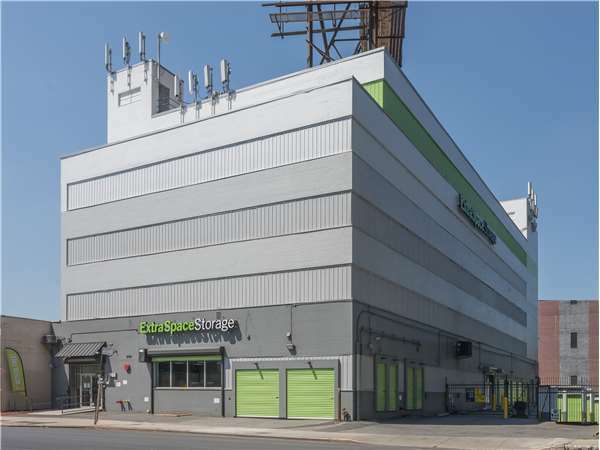 Extra Space Storage on Zerega Ave. is the perfect storage solution for residents of Southeast Bronx. 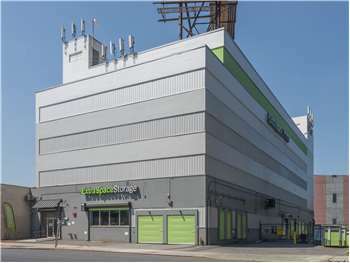 Located in Unionport near the Cross Bronx Expy. and Bruckner Expy., we're easily accessible to residents of surrounding neighborhoods, including Soundview, Castle Hill, and Parkchester. Local residents will recognize our location on the corner of Zerega Ave. and Bruckner Blvd., right next to Solco Plumbing Supply. The price, booking process was easy & Tabitha was a delight to work with. The entire door and frame on my unit came off the wall. So the padlock was ineffective, the unit was open and unsecure. When I brought this too the attention of the manager, an employee was sent to the unit to inspect it with me. He offered to add screws to the frame to secure it until a professional contractor could take a look at it the next day. It was 4pm roughly. In the meantime, the manager offered me a larger unit, at a higher price, or the same size unit on a non-climate control floor of the facility. Neither option appealed to me, but I was not offered any other options, not even a discount on the current unit. I left and returned just before close. The employee had indeed added screws to the door frame to secure the unit. The manager however, did not call me or follow-up with a professional contractor, the next day as promised. I saw the manager in passing as I came to get something from my unit two days later. She asked if I was satisfied with the repairs to the unit and made excuses for the condition of the "old building" because the wall had crumbled behind the door frame. Because I was moving from out of state, I was not able to inspect the facility before I made my reservation online. I would strongly suggest viewing your unit at this facility before you become a customer. I would have made a different choice if I had previewed the property because there are many other storage companies in the immediate area of this facility. EXTRA SPACE STORAGE have always had good low rates and i will always use them.This is my second time using them and the staff has always been very helpful .Esp.Monica Rodriguez. I was living in California for about 2 years and called ESS and spoke to Monica from Cali. and told me she would hold a room for me with a deposit down ,and when i arrive to New York,saw the room and found it to be too small for my stuff,well Monica took the time to show me a few rooms till i found one that suited me, and i am very pleased with it .I even told my uncle about it and he's rented a space storage room also.Thank you EXTRA SPACE STORAGE for keeping my stuff safe and secure. I love my facility. The only thing I don't like it that it's so far away from mass transit. I JUST WANTED TO TAKE THE TIME TO SAY A LITTLE SOMETHING ABOUT TWO PEOPLE THAT WORK AT THE ZEREGA AVE FACILITY THAT ACTUALLY WENT ABOVE AND BEYOND FOR ME AND MY FRIEND LASTNIGHT ON 11/3/11 WHEN WE SHOWED UP AT THE STORAGE PLACE AND KEPT THEM THERE AFTER HOURS. I WANT TO SAY THANK YOU TO MONICA AND DERICK. THEY ARE BOTH GREATLY APPRECIATED FOR WHAT THEY DID FOR US. THEY ARE THE BEST EMPLOYEES THAT I MET IN THAT FACILITY SO FAR. EVERYTIME THAT WE WENT THERE THEY WERE ALWAYS THERE AND ALWAYS LOOKED OUT FOR US BUT ON THIS ONE NIGHT THEY PROVED TO ME THAT THEY CARE ABOUT THERE CUSTOMERS. THEY BOTH ARE GOOD HEARTED PEOPLE. YOU WILL BE BLESSED ALWAYS. "I WILL ALWAYS LOVE YOU GUYS AND REMEMBER WHAT YOU DID FOR US"
i chossed this facility is easy to get to on the highway. it's clean and always has handtrucks and other products avaliable.n it's very clean and the staff is very curtious. From the North (Connecticut, New Rochelle, White Plains Area) Take Interstate 95 South/New England Thruway to Exit 14/Whitestone Bridge exit. This becomes the Hutchinson River Parkway South and you take this to Exit 1 for Bruckner Blvd/RFK Bridge towards I-95/Cross Bronx Expressway/I-278/Bruckner Expressway. Merge onto Bruckner Blvd. Turn right to stay on Bruckner Blvd (follow signs for George Washington Bridge/Zerega Avenue/Cross Bronx Expy/I-95) Follow the sign to Zerega Avenue. Then make a left at the traffic light/Zerega Avenue. Continue to drive underneath the underpass followed by another traffic light. Look for the green Customer Service Center Awning and Extra Space Storage Sign on your right. From the South (The Bronx, Manhattan, New Jersey Area) Take Interstate 95 North New Haven CT Exit 5B towards Castle Hill Avenue. Merge onto Cross Bronx Expressway then make a right onto Castle Hill Avenue. A New and Used Tire shop and Cross Bronx Pizzeria will be on your right. Continue straight on Castle Hill Avenue until you come to an overpass which is the Bruckner Expressway and make a left at the traffic light onto Bruckner Blvd. Continue straight locally until you reached a traffic light. Then make a right at the traffic light/Zerega Avenue. Look for the green Customer Service Center Awning and Extra Space Storage Sign on your right. From the East (Queens, Long Island) Take Interstate 678 N/Van Wyck Expressway ramp to The Bronx. Follow signs to Whitestone Bridge/Bronx. Continue I-678 North to Exit 1 for Bruckner Boulevard West. Turn slightly right to stay on Bruckner Boulevard. (follow signs for George Washington Bridge/Zerega Avenue/Cross Bronx Expy/I-95). Then make a left at the light/Zerega Avenue. Continue to drive underneath the underpass followed by another traffic light. Look for the green Customer Service Center Awning and Extra Space Storage Sign on your right. From the West (The Bronx, Mt. Vernon Areas, White Plains Road) Take the Bronx River Parkway South to Exit 2E for Bruckner Boulevard Expressway/Interstate 278 East/Throgs Neck Bridge/New England. Merge onto Bruckner Blvd. Take the ramp on the left onto I-278 East. Take the exit towards Hutchinson River Parkway/Zerega Avenue. Keep right at the fork, follow the signs for Zerega Avenue and merge onto Bruckner Blvd. At the traffic light make a right onto Zerega Avenue. Look for the green Customer Service Center Awning and Extra Space Storage Sign on your right.